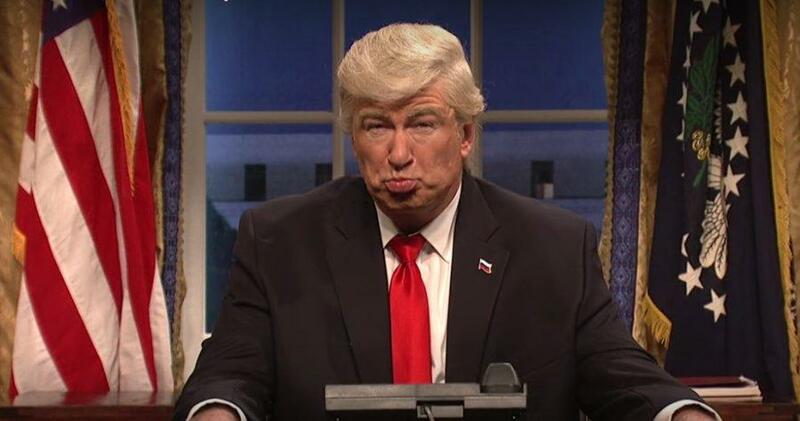 Alec Baldwin returned to Saturday Night Live to portray Donald Trump in the cold open, video above. This followed another round of Donald Trump attacking Alec Baldwin on Twitter. The New York Times has a review of that battle here. An earlier, deleted version of the above Tweet referred to Alex Baldwin in error.